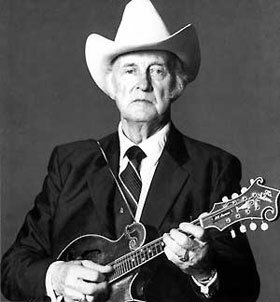 There wouldn’t be bluegrass if it weren’t for Bill Monroe. He gave the genre its name and its distinctive style, and he embodied the essence of the art form, which is typically delivered by an acoustic string band featuring instrumental virtuosity on banjo, fiddle, mandolin, guitar, and string bass, and plaintive, high lonesome voices singing in close harmony. Monroe’s influence reaches far and deep, and will be very much in evidence during the Freight’s popular annual tribute, hosted for the fourth year in a row by Berkeley’s own Laurie Lewis. This year, we will be celebrating the legacy of the Father of Bluegrass on his actual birthday. “Bill Monroe’s repertoire of recorded material was so vast and varied,” Laurie says, “that the first year we felt we had barely scratched the surface. Since then, we have tried to get deeper and deeper into the catalog, and the guests always surprise and excite us with their choices.” Laurie is the perfect host for this event. The International Bluegrass Music Association named her the Female Vocalist of the Year – twice! 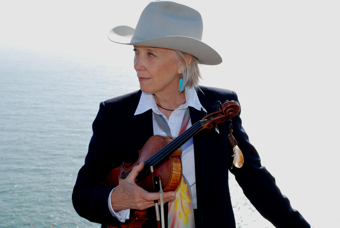 She won a Grammy for her work on the album True Life Blues: The Songs of Bill Monroe. And she’s been a treasure on the local music scene since the mid 1970s when she co-founded the groundbreaking bluegrass quintet, the Good Ol’ Persons. An all-star cast of Bay Area bluegrass luminaries will join Laurie on stage. Guests include Ed Neff, a leading light of the Bay Area bluegrass scene since the 1960s, best known as long-time fiddler with High Country and currently playing mandolin with a few bands of his own; Yoseff Tucker, guitarist and singer with Supermule and the Central Valley Boys; Mary Gibbons, founder of the All Girl Boys, guitarist and singer with Laurie's Bluegrass Pals, and currently with the Stadler-Gibbons Band; and Keith Little, formerly of the Vern Williams Band, who toured and recorded with Ricky Skaggs and Dolly Parton, among others. Laurie’s long-time collaborator Tom Rozum will add his mandolin mastery, along with Butch Waller of High Country fame. Chad Manning, of the David Grisman Bluegrass Experience and Laurie Lewis and the Right Hands, will play fiddle. Patrick Sauber, another Right Hand and also a member of Loafer's Glory, will play banjo. Sharon Gilchrist will play bass. Chuck Poling will serve as master of ceremonies, and don’t be surprised if other very special guests take the stage as well.